Lush floral parade of coaches during the spring in the resort town of Italy - San Remo. For the past 110 years, this annual event admire its scale, stunning floral aroma and incredible beauty of amazing songs. For several months, many professionals skillfully master plan every flower that will be used in such a unique and such a tender product, and create all this luxury for just one night, carefully laying the flowers one by one. 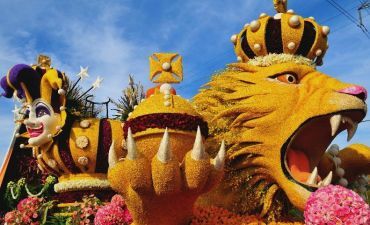 The tradition of decorating the wagons live plants originated in 1904, and the first march, which took place in Italy, was dedicated to the goddess of flowers Flora. The Festival of Flowers will be held on the streets of the city, and will be accompanied by music and various competitions. 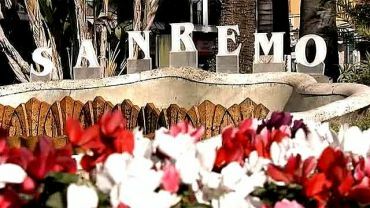 Each year the theme of the festival is changing, and what will be the San Remo this year is still a mystery!